1. 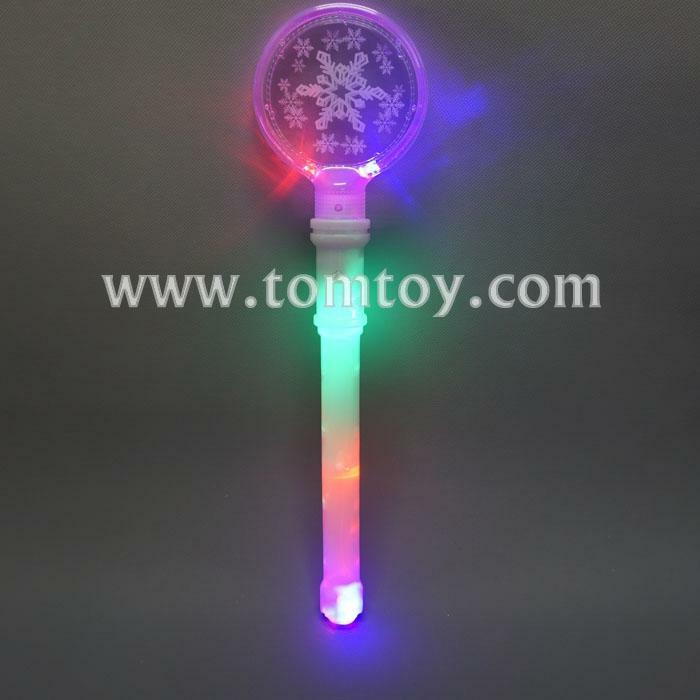 LED Light up Wand comes with Milky plastic handle and double side snowflake printing on the Round Disc. 3. Features 3 flashing mode.